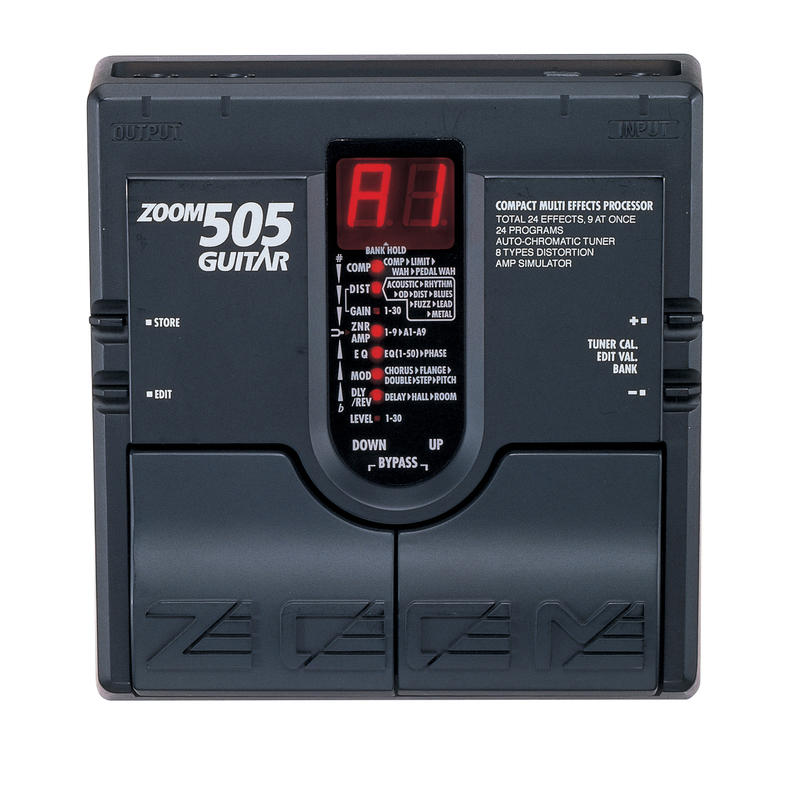 505 Guitar, Multi-Effects for Electric Guitar from Zoom. 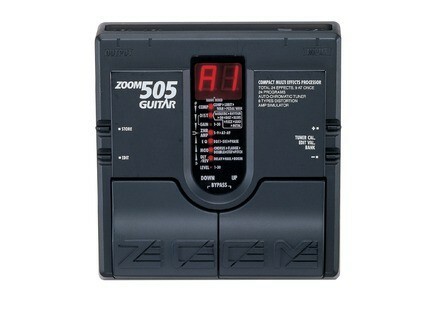 Product replaced by the Zoom 505II Guitar.
" First (multi) effect (s) ..."
At the time, Gibson e347, Peavey 100w transtube, 2 505 in serial connection. In my opinion you can't beat that effect. I used it professionally in NY for years.I play Jazz Brazil Funk stuff. I had 2 of them connected in serial, the sound coming out of those things was out of this world, and it is very light weight which is very important when you perform all the time. Technically everybody can have fun with it, musically it was perfect for me especially the adjustable OD bank, reverb and EQ, after that depends on what you are looking for. But that pedal has so many possibilities, I probably used only a small fraction of its potential. I still own one today. I got lucky I bought one a year or so ago for 25 bucks. As today am still a fan. The fact is they are difficult to find and although discontinued the price went up. I give that little monster 5 stars because the Japanese signature quality is there, and for the price you can beat it.